Let's just get one thing clear... I'm really being vulnerable today. I am very self conscious of my feet and hands (why won't my nails EVER grow? Why are my knuckles so wrinkly? What are those bumps?). Anyway, I think enough of you guys that I decided - even though I will never have a career as a hand or foot model - I will put it all out there on the blog today (as long as you don't look too close). 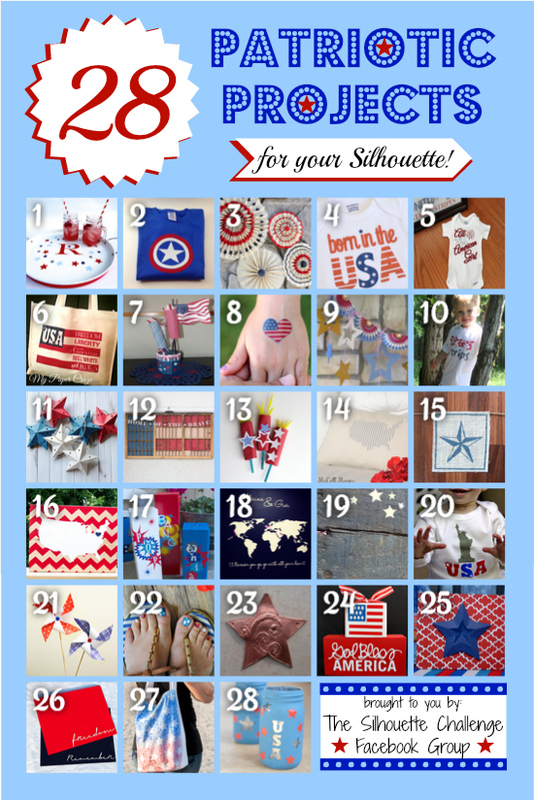 Now that that's out of the way...it's less than a month until July 4th already and I'm sharing my first patriotic Silhouette project today. This one was kind of a challenge for me (not only because it's my monthly contribution to the Silhouette Challenge group), but also because I'm terrible at painting my own nails (as you'll see), let alone blinging them out with special designs. 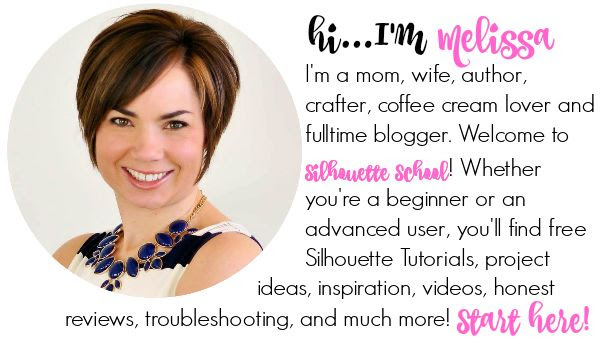 Thankfully, my Silhouette made the job sooooo much easier! The first thing I did was get my red, white, and blue nail polish. I picked them at the dollar store only because I can't really see myself wearing white or blue nail polish any other time of the year and I wasn't willing to shell out more than buck for a bottle. Let's talk toes first since they were the easiest. 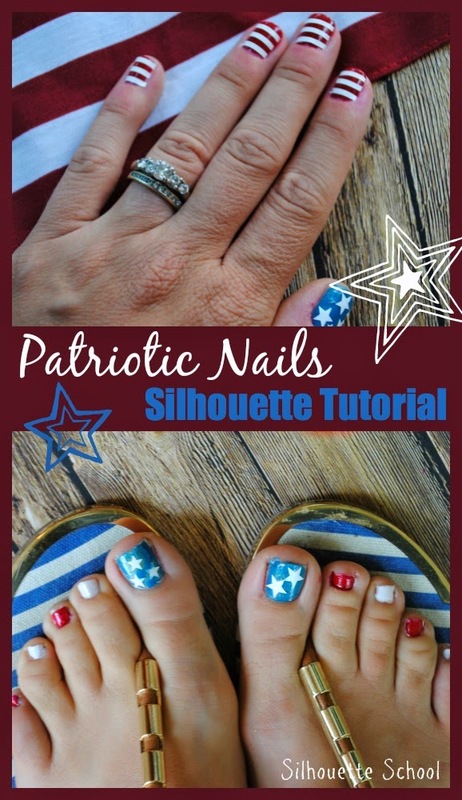 I painted my big toes blue and then cut stars out of white permanent vinyl (651) and stuck them directly onto the the nail. 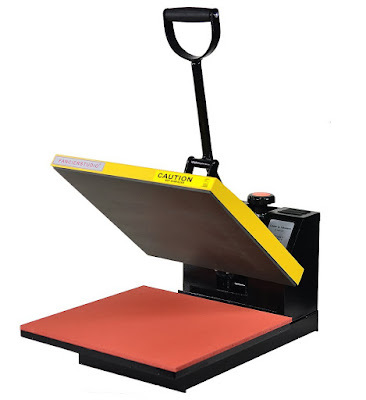 I found that a design that's just about .75 square inch works well. 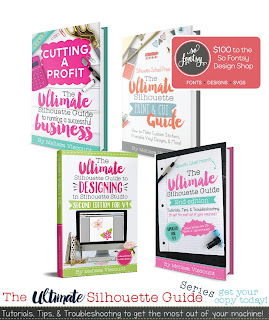 Easy peasy and made even easier because I'm giving you the free cut .studio cut file to download. I planned to paint each of the other four toe nails red and white striped, but they were just too tiny...so I cheated and painted each nail a solid color. Now for the finger nails. I repeated the same process for the thumbs as I did the big toes. Thumb designs I make slightly smaller - about .6" square..and if you have longer nails then obviously you can make them a little longer than wider. 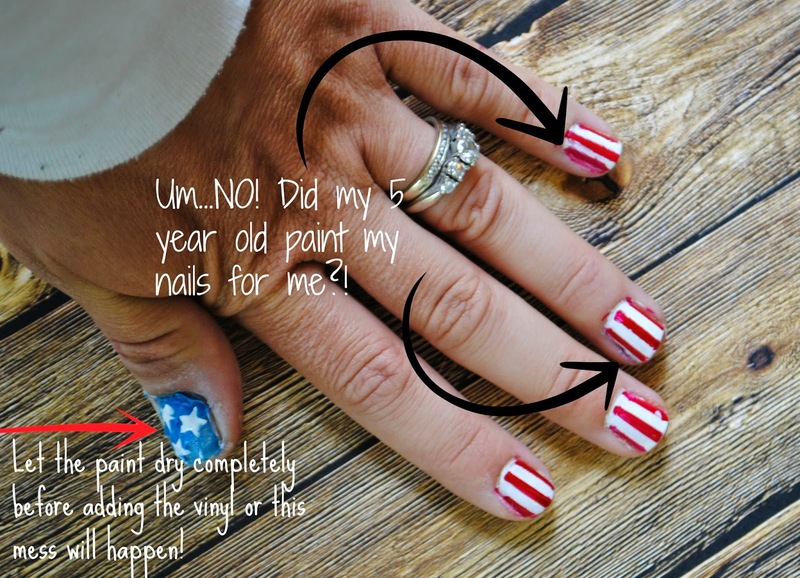 Cut the stars on outdoor vinyl, use transfer tape to move them, and press them onto the painted nail. But for the other four fingers on each hand, I painted them each solid red. I let them dry for a good hour. Then I cut stripes of white permanent adhesive vinyl (again 651)...the pinky nail stripes and the stripe closest to the bed of the nail are just slightly shorter. ...and used transfer tape to move them to my nails. I tried to align the edge of the stripes along the edge of the nail and lined up at the nail bed. 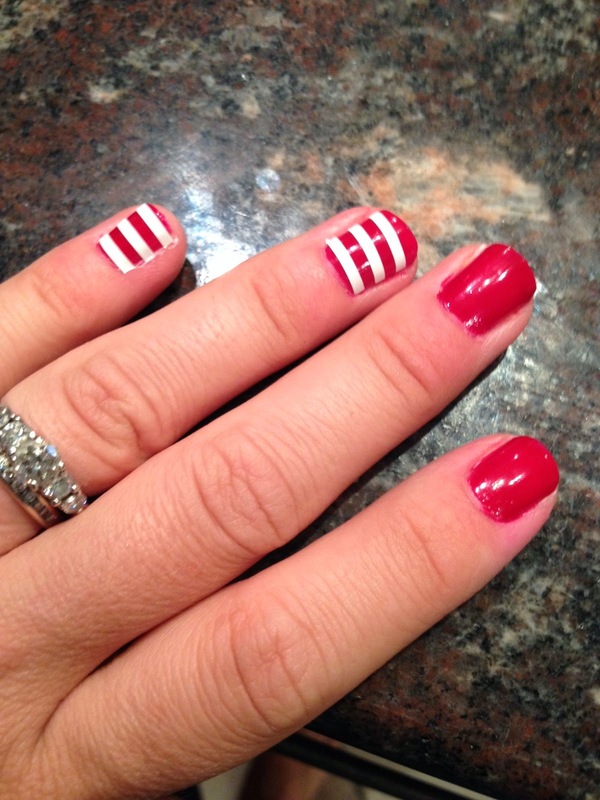 This way the stripes stayed evenly spaced. It also made working on my right hand (non dominant) much easier. The paint and vinyl method was actually the second method I tested and I found that it worked much better for me than my original technique which was to make a vinyl stencil and paint on the white lines with white nail polish. The lines just weren't crisp enough at all. 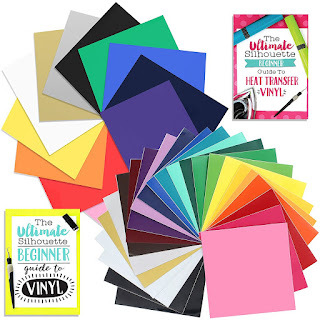 If you are like me and are worried about using vinyl on your fingers because they take a beating with dishes and kids and gardening...fear not. I actually walked around with red, white, and blue nails for several days (in May, no less) to make sure that the vinyl would stay on and it did - perfectly. I found that putting a clear top coat on over the vinyl stars and stripes made the vinyl stay that much better. 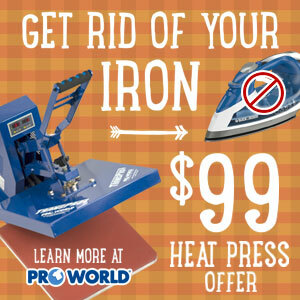 And by the way...no, this is not a fast process, but I'm hoping by giving you the free cut files for the stars and stripes you'll have your patriotic mani and pedi done faster than I did! These are for personal use only, please! 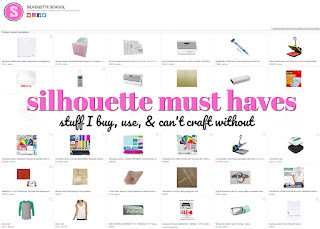 Want to Check Out More Silhouette Projects? 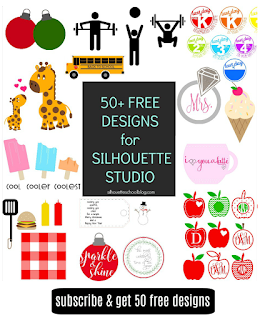 My Silhouette Challenge buddies and I are all sharing projects on our blogs today, so peruse the projects below for a wealth of Silhouette inspiration! Great job on this! I am terrible at doing my own nails! I'm impressed, and they are so fun! Definitely a festive idea. I can't believe it's almost the 4th of July!